Time to Spring for a New Purse! I like to change my purse out for Spring and Fall. I don’t have a billion purses. I just like to have a few that I REALLY use. “Keep ONLY what you LOVE and USE”. So since it was recently my birthday, I got a new purse. I happen to like getting the matching wallets as well, since it feels more organized! 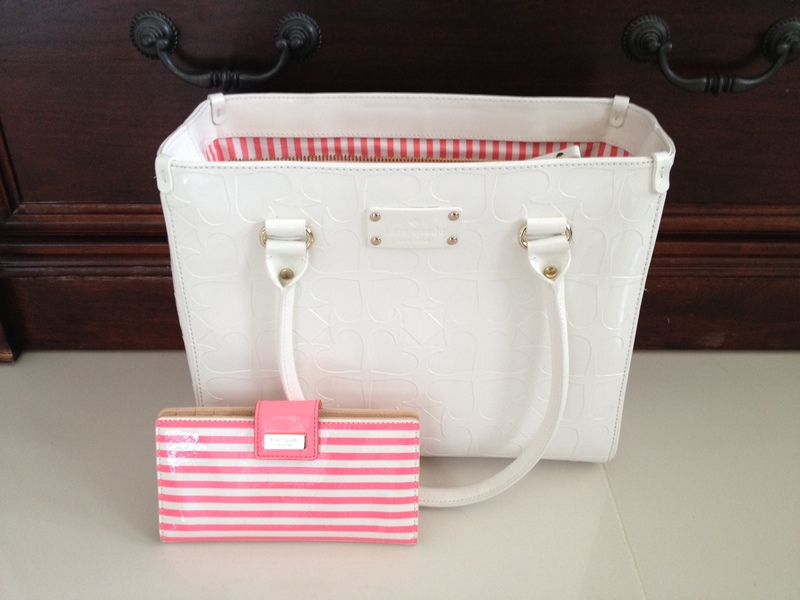 I like Kate Spade’s designs since they are not too over the top or fussy. I was able to snag this set at one of her outlets for a steal! White is SO in for this Spring. It goes along with the trend (in both fashion and home design) away from earth tones and creams and browns, to grays and whites with clean colors. I’ve had a lovely creamy purse for 4 years, so I was due for a change. 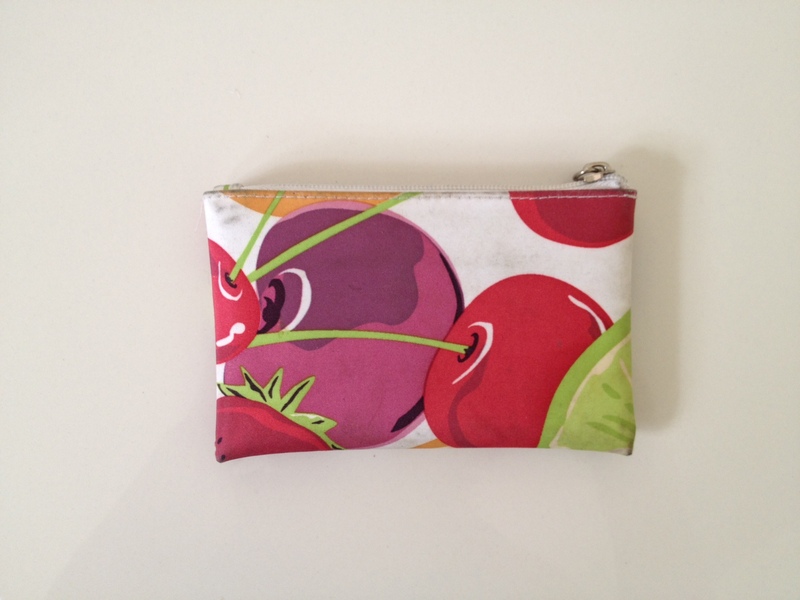 Try to have a little zippered pouch JUST for all those loyalty cards. That way you don’t clutter up your wallet. I use this (it came free with some Clinique lotion I bought years ago), but maybe I’ll upgrade! Keep all those other things you need on a less frequent basis in the farthest reaches of your purse so you don’t have to dig through them to find the things you need the most! Make sure you don’t have any expired medicines. Go through your purse. OFTEN. Like every few days. Make sure you gather your coupons in one spot (I’m not talking the grocery ones, which can be a whole different story, but the ones for all the stores you go to like Macy’s, Bed Bath and Beyond, etc.) and throw out the expired ones. Treat yourself to a wallet that doesn’t require folding your money. Put the highest denomination in the back and the lowest toward the front. Make them all face the same direction. A friend who used to work for a bank told me this years ago and it makes me feel so much more organized. So what do you keep IN your purse? How do you organize it? I’d love to hear from you! This entry was posted in Cleaning, Fashion, Home Organizing, Travel and tagged band aids, checkbook cover, clean, kate spade, loyalty cards, money, purse, spring, travel, vacation by organizedohana. Bookmark the permalink.